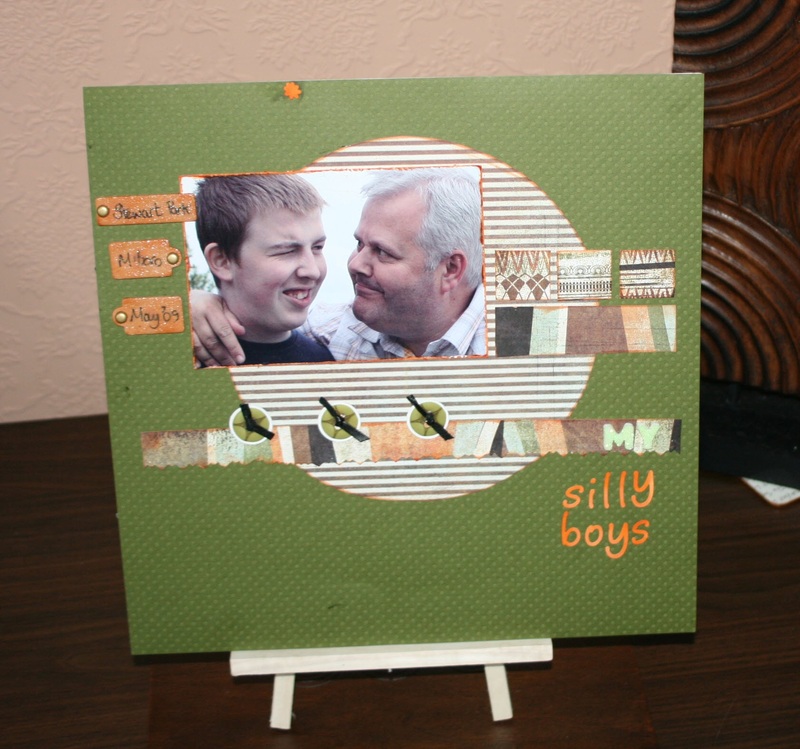 This layout was put together as part of a challenge on Creative Scrappers. I liked the look of the sketch for challenge 97 as I think I am normally a ‘cluttery’ scrapper and this sketch leaves lots of white space. I used Basic Grey – Archaic papers, Papermania alphas, Maya Road chipboard tags, others items were die cut paper buttons, sticky double sided foam letters with glitter added and faux leather straps (recycled). I am pleased with the end result.